The Field Crops Program area of focus includes soil fertility, pest management, irrigation management, product marketing, cropping rotations or schemes, and alternative crop development. Intermountain Alfalfa Management is a comprehensive manual for alfalfa growers that brings together the most current information and recommendations in nearly all areas of alfalfa management, including stand establishment, fertilization, irrigation, pest management, and harvesting. Every alfalfa grower should own a copy of this practical guide written especially for the high-elevation valleys of the Intermountain West. This manual can be purchased from the ANR Catalog. Irrigated Alfalfa Management for Mediterranean and Desert Zones is available as an on-line publication designed to provide information about the growth, production, management, and utilization of alfalfa grown under irrigation. Its emphasis is heavily weighted towards alfalfa production in the Great Central Valley and deserts of California. It is a companion publication to the Intermountain Alfalfa Management manual. Dryland Pastures is a University of California publication which provides information to help land managers establish and improve pasture in the intermountain region of northern California. 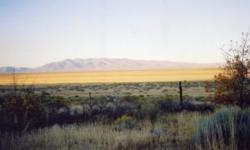 Intermountain Irrigated Pastures and Mountain Meadows is a collection of independent articles. Each article can be used by itself to learn more about irrigated pastures and mountain meadows in the intermountain region of northern California. California Gardening is a website produced by the Master Gardener Program of the University of California Cooperative Extension. It has information on gardening basics and climate zones. Cost and Return Studies for Fruit, Vegetable, Field, Tree and Vine Crops has over 125 current cost of production studies for various crops grown throughout California. 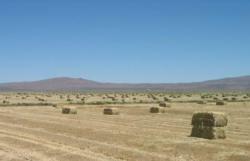 Of special interest in Lassen County are the studies on orchardgrass hay and alfalfa. Pests of Agriculture, Floriculture, and Turf is a University of California Integrated Pest Management website that has information about managing a variety of different pests. Pests in Homes, Gardens, Landscape, and Turf is an excellent website resource with guidelines for effectively managing pests common around homes and gardens. Look for the link to UC Pest Notes which are the best resources available for information on pest control. Small Grain Production Manual is a 14-part free online publication of the University of California that presents essential information on producing wheat, barley, oats, triticale, and rye, from growth and development through seedbed preparation, fertilization, and irrigation, to pest management, crop rotation, cover cropping, and harvesting and storage. The manual also includes an overview of small grain production in California, as well as a handy troubleshooting guide. It includes color photographs, drawings, charts, graphs, tables, and references. You can download all 14 sections of the manual in a single, large 9.6MB document, or you can view parts 1-14 individually.